Justine Sless is an award-wining writer, comedian and creative director of Melbourne Jewish Comedy Festival. She has written for Funny Women UK, Jewish Women of Words and The Jewish Report. 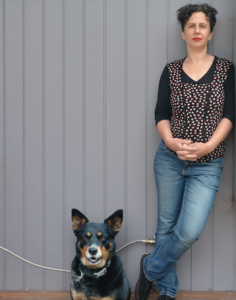 Justine is doing her Masters in creative writing at La Trobe University on gender and comedy and is writing a collection of short stories and a novel set in North East UK about comedy. Justine’s comedy is described as ‘biting sarcasm and razor sharp wit’ as well as ‘freshest, most original’. Justine will be discussing ‘Survival’ with Stephen Pham on Sunday Nov 5 at 10:30am. It’s not too late to book a last minute weekend or day pass for the festival! Tickets still available for purchase here.